Hey kids, how are ya? I’m chiming in because I just had a Google+ Hangout session with some friends over on Broken Forum in which they graciously took the time and helped me learn Kerbal Space Program a little better, and it was hilarious. 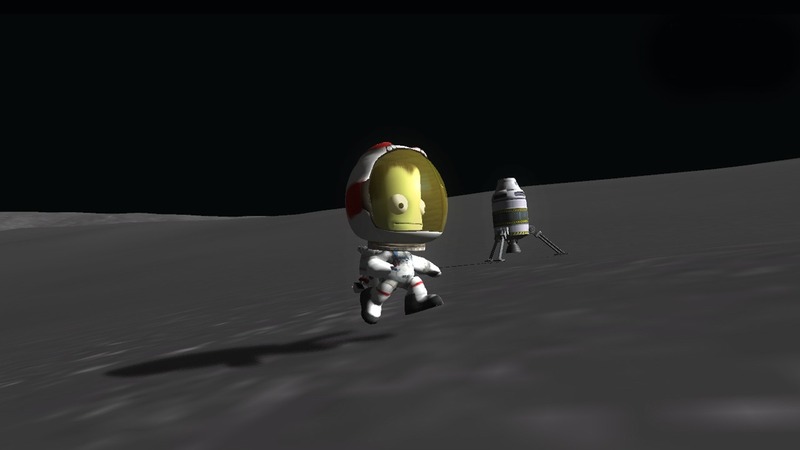 With their help, I made my first orbit and also landed on the Mun! Yay! Aaaanyway, I hope you enjoy it! Brian and guests, thanks. That was a ton of fun to watch. I skipped around a little, but I’m virtually certain that would be the latest paid version of KSP you were using? Yup, on Steam, right before the latest version, 0.20, came out.